You can now also check out previews on YouTube. Hit our Bandcamp page to directly support the label & a pick up our latest release. 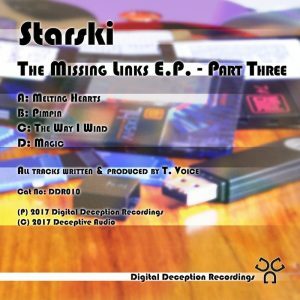 Wrapping up this 3 parter, The Missing Links concludes in unique style with Starski pulling no punches. Now let the music to the talking. After warming you up with a wonderfully realised intro, Melting Hearts delivers quite the drop. Be prepared. A classic dub plate finally gets its air time. Pimpin’ was an early demo sent to us which still brings a tingle. We’ve said it before. We’ll say it again. There is no one in the scene who sounds like Starski. The Way I Wind will blow your mind! The secret is in the title & this title has it all. 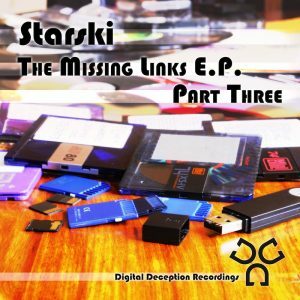 Deep & layered bass, something for the jungle massive & of course Starski magic.